"ONE OF KEEN'S BEST HIDDEN TREASURES"
HI, I am ORACLE OF THE SEA: A Naturally gifted Clairvoyant, Intuitive, Empath, Tarot and Angel Card Reader and Numerologist. I have many Loyal clients on KEEN. I have created this listing especially for new callers who are seeking Expert advice at a reasonable price. Im excited to read for you when you call. I speak fast and provide plenty of details. Are you wondering if love, prosperity and happiness are finally coming your way? or if your life is changing for the better? If you are lost in the fog and darkness of life, I can guide you to your destined island paradise. My Ancestors have been born by the sea for 100's of years. I use my knowledge of the past to see into the future. So when you call me, remember you are the captain of your destiny. I supply the light, the beacon, as I will be your lighthouse guiding you through the storms and wild waves of life. May all your dreams come true. HAVE A HAPPY & PROSPEROUS LIFE STARTING THIS MOMENT! arrange a call and I will return your call asap. A long long time ago there was a land so heavenly that the angels walked upon it. it was a land surrounded by waters and filled with flowers, fruits, crystals, gems, gold, silver and exquisite birds inhabitants of this land were blessed, .but in time greed overtook them. In fury posiedon the God of the Seas perished this land into the depths. Those who were of the light and didn't allow greed to consume them. 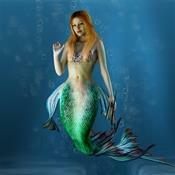 They were blessed by Poseidon and lived in the waters and seas as mermaids and mermen. They are now reminding us that greed can destroy.They became the oracles of the sea to guide us to not face the same fate. Let me be your light to help you through the darkness of life. You deserve happiness and love let me guide you as I am the Oracle of the Sea. We will have a turbulent year. There will be global chaos and natural calamities. Be prepared, have plenty of food, water and basic necessities for survival. Grow a garden an become more self-self-sufficiant. Lets get back to the green, to Mother Earth. Get to know your neighbor, let's become a village/community again and help one another. As a community we Weill become strong and healthy. Neptune/Poseidon the God of the Seas is angered. We have poisoned the oceans and the seas. We have poisoned baby dolphins and put all the sea life in jeopardy. We have over-fished and over -polluted the azure seas. His Wrath has already begun. Mother Nature is also angered, but with bad, comes the good. We need to learn to respect the land, the seas, the animals, the birds, fish and every living thing. Lets go back to the land, the earth and the seas where we came from. The physical, materialist, greedy, selfish, negative life is dying. We need to simplify, and as humans are adaptable. We can change for the good of all. I believe we will enter a peaceful period. I have hope. Lets all do our share to save our blue home and all of its living inhabitants. We need to get back to the green, we all need to do our part. ORACLE OF THE SEA has been a user of Keen since 2009. 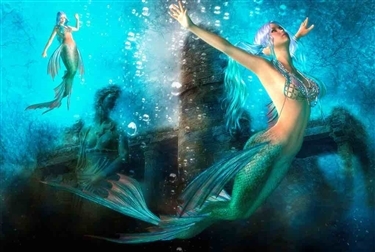 Getting Tarot Readers advice from ORACLE OF THE SEA through www.keen.com is safe, secure and confidential.